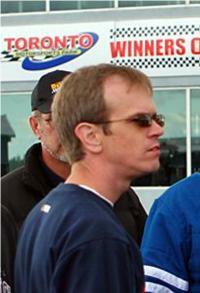 Ted Barnes chosen as DragRaceCanada.com's 2008 Sportsman Driver of the Year! Canfield, Ontario - Canada, - For five years, DragRaceCanada.com has held an online poll to acknowledge top achievements in Canadian drag racing during the past season. In 2008, the honour for Canadian Sportsman Driver of the Year went to Canfield, Ontario's Ted Barnes.